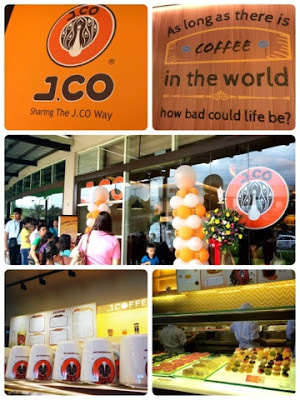 It's Where You At: J.CO is Finally Here in Davao! J.CO is Finally Here in Davao! 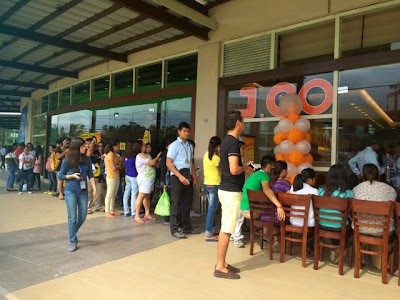 The wait is finally over as J.CO Donuts and Coffee opened its first store here in Davao City last November 6. 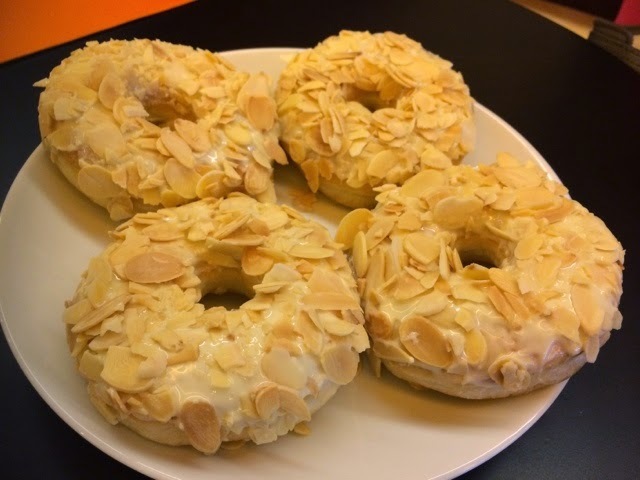 Located at the ground floor, park dining of the Ayala Abreeza Mall, J.Co gave a warm welcome to its eager customers on their first day: the first 50 customers got free donuts!! 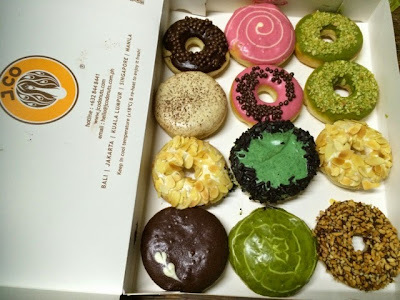 With J.CO around, we don't have to travel or ask our friends coming from Manila, General Santos City or Cagayan de Oro to bring us these donuts as pasalubongs (gift/present). Until now, the lines are still queuing with J.Co lovers grabbing their favorite donut variants. My favorite and apparently their bestseller is Alcapone. It is a soft-bite signature J.CO donut topped with white Belgian chocolate with sliced roasted Californian almonds. 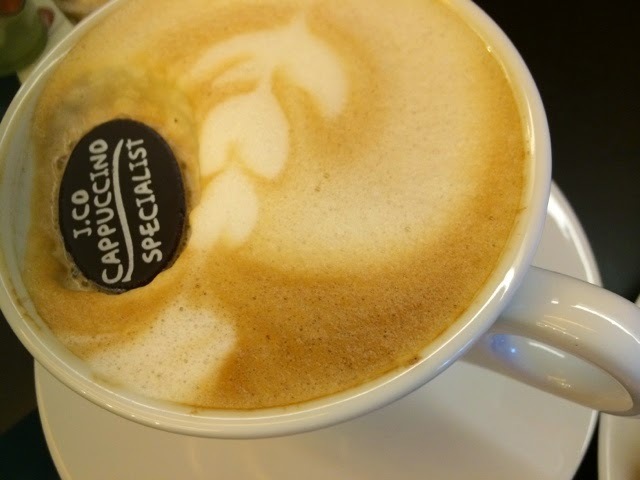 It is best paired with J.CO's signature cappuccino, Jcoccino. J.CO is known for its innovative varieties of donuts which taste just right, sans the overpowering sweetness. It is the brainchild of Indonesian entrepreneur Johnny Andrean. It first opened in Jakarta, Indonesia in 2005. 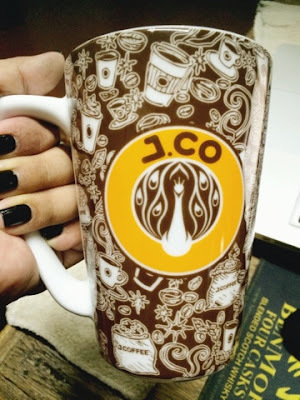 Branches in Singapore and Malaysia have opened up since then while the first Philippine J.CO store opened in 2012. Oh wow! 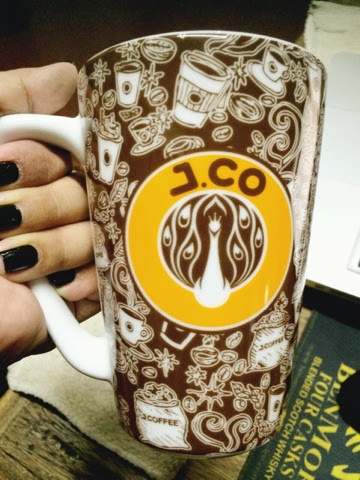 Davao will love JCO and just prepare yourself to queue as this seems to be the marketing strategy of JCO. But it works! Love JCO! *Drool*! XD The last time I was in Davao, the plane cabin was full of J.Co for their pasalubong. Wow! JCO is a brand which will always fascinate and amaze the Filipino taste buds. I love eating here as well. Love Al Capone too!